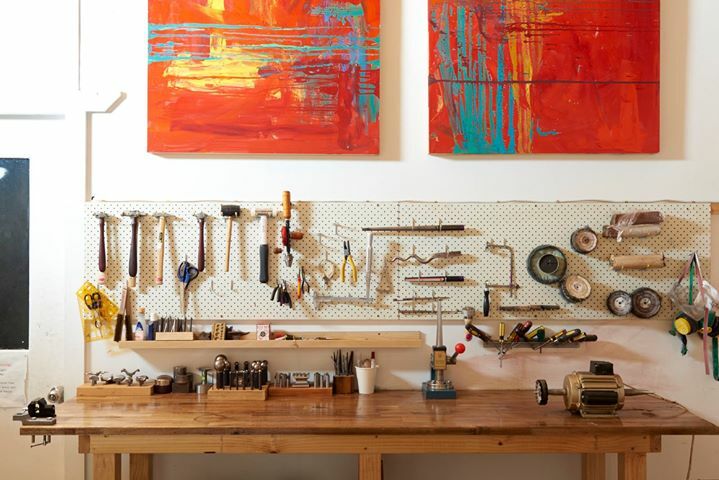 Unleash your creativity in a space you can call your own. Private lock up studios are available for 6 month or 1 year contracts. For current availability please check SPACES. Learn to cast pieces of jewellery in sand (delft clay). Casting is great fun and we will be casting in place rough Australian sapphires! - BOOK NOW! Learn the art of carving and shaping wax to create your own unique ring. In this workshop run over two evenings you will be introduced to a variety of wax working techniques, including carving and mouldable wax forming. - BOOK NOW! Take a walk around beautiful Fitzroy and learn photography skills with industry veteran Linda Scanlon - BOOK NOW! Learn from award winning photographer, Sasha, on how to take professional looking photographs of your jewellery and small objects. - BOOK NOW! Learn the basics on how to create and maintain a social media presence without all the hassle and confusion. - BOOK NOW! 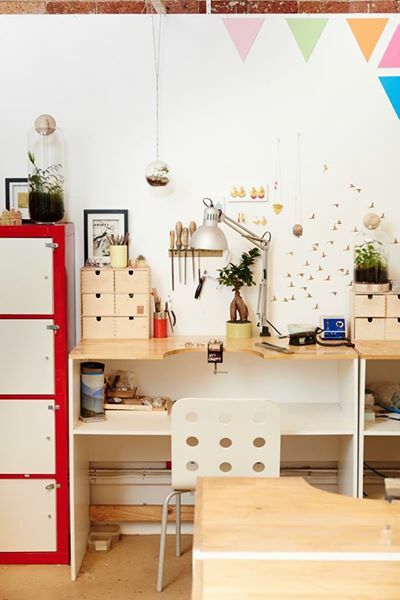 Fully equipped Jewellers Workshop with 13 desks. If you would like to work in a community environment and share ideas, the shared space is perfect for you. There's a little of every artist in their work. CLAW Creative Studios isn’t just a place to call your creative home, it can showcase your work space, host pop up markets and feature film screenings. Open studios are a great opportunity to see where the artists create. Each studio is as individual as the artist. Showcasing the latest designs from emerging artists resident at CLAW Creative Studios and other local creatives. This is a fabulous way to support local small businesses and keep the creative community growing. Showcasing local and overseas talent, our film screenings promote indie and small film makers. Supporting the local film industry and keeping the creative community inspired.